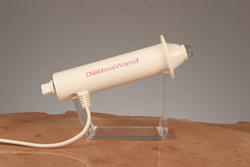 Richard Ransom, President, stated “Now that we own the DermaWand trademark, with over $25 million in marketing dollars spent building this brand worldwide, we intend to utilize this asset to build additional brands and line extensions. ICTV Brands, Inc. (OTCQX: ICTV), (CSE: ITV), a digitally focused direct response marketing and international branding company is pleased to announce it has acquired the worldwide ownership of the DermaWand patent and all related trademarks. Under the Purchase Agreement entered into on January 22, 2016 with Omega 5 Technologies, Inc. (“Omega”), ICTV has acquired the DermaWand patent and all related trademarks for the sum of $1,200,000 paid out as follows: $300,000 per year for calendar years 2016 through 2019, payable in uniform quarterly installments on or before the last day of each calendar quarter. There shall be no interest charged, and ICTV may, in its sole discretion, at any time without permission or penalty pre-pay some or all of the purchase price. As per the original licensing agreement with Omega, ICTV had been assigned the patents, related trademarks, and exclusive commercial rights to DermaWand as long as its minimum annual royalty requirements were met. The amount of royalty expense incurred for sales of the DermaWand was approximately $1,159,000 and $1,018,000 for the years ended December 31, 2014 and 2013, respectively, and $591,000 for the nine months ended September 30, 2015.